Kick-off Meeting for CT+: Creativity training for Europe project! “Creativity is the world’s greatest weapon. It always wins!” Mimi Valdes. Creativity is an essential life skill highly needed in the labour market of the 21st century, which can upgrade the profile and capabilities of any adult while strengthening the opportunities for employment. The new Erasmus+ KA2 Adult project, titled “CT+: Creativity training for Europe” aims to promote the development of relevant and high-quality skills and competences such as creativity (e.g. video, photography, graphic design, music etc.) and innovation linked with entrepreneurship for low-skilled or low-qualified adults. 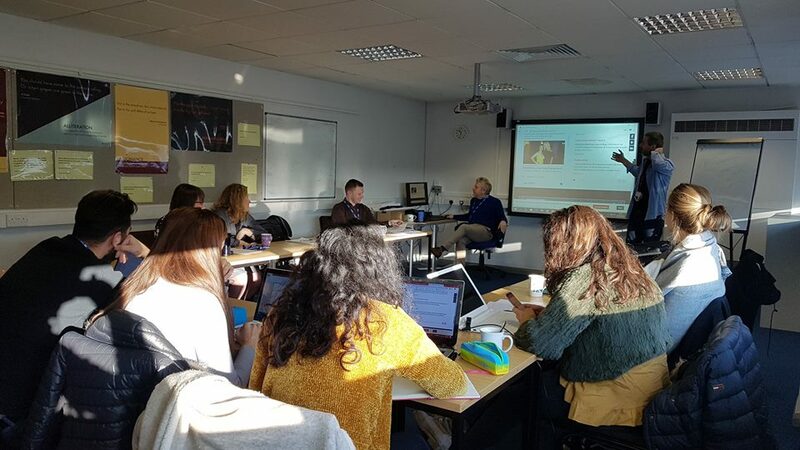 Emphasys Centre is part of this new challenging project and has participated in the kick off meeting which was organised by Lancaster & Morecambe College – UK between the 13th and 14th of December 2018. The expected results are closely linked to its sustainability which is the creation of a community of creative people working and collaborating together to improve their potential in the labour market in a digital environment with training, mentoring and coaching activities. A big thank you to the coordinator of this projectAcademiaPostal Tres (Spain), the hosting organization Lancaster & Morecambe College (UK), as well as the rest of the partners: Euro Net (Italy) and the Stichting Amsterdam European Mobility(Netherlands). Being creative helps you become a better problem solver in all areas of your life and work, makes life interesting and fulfilling. Previous PostKick-off meeting of the DIVERSELY CODING project! Next PostKick-Off Meeting of DIMELI4AC Project!